I always find it amazing how the English language allows the formation of new words that express different concepts from existing words – one such word is “sidegrade”. While it is definitely a neologism and something that is not included in any dictionary I could find, it does a great job at expressing a concept – that you neither upgrade nor downgrade, but take a step on one side so you don’t really move on from where you are. And this concept is key in understanding the Tin Audio T2 Pro, which is neither an upgrade nor a downgrade compared to the Tin Audio T2. It’s just (a bit) different. Disclaimer: I received a complimentary unit from Linsoul Audio. They are currently sold on Massdrop exclusively. The packaging is well-finished and in fact pretty much identical to that of the T2. It includes a faux leather box holding the earphones, the cable, a set of foam eartips and a set of silicone tips in three sizes. 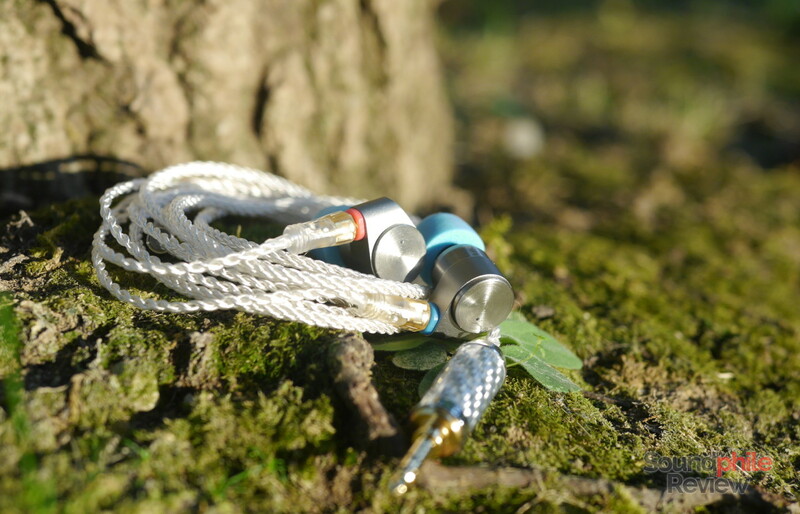 The Tin Audio T2 Pro is in fact identical to the Tin Audio T2, save for the jack that has different colours. 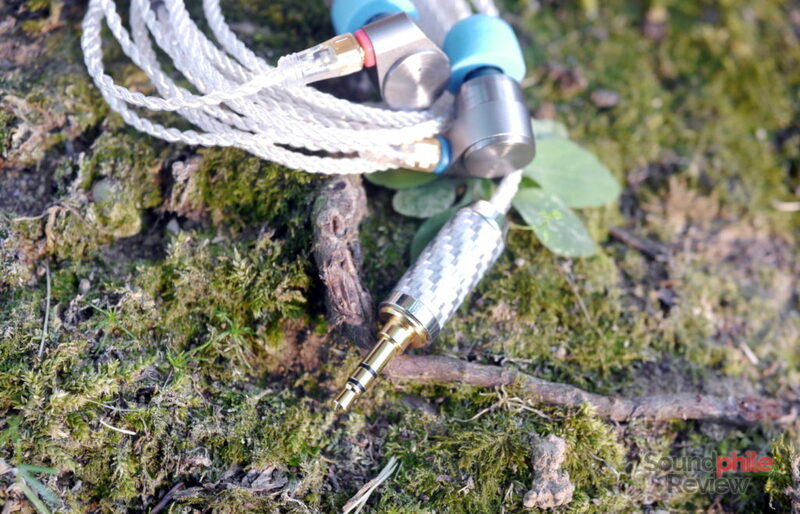 Finding physical differences is otherwise impossible and this is the reason why I invite you to read the Tin Audio T2 review to read about design, comfort and isolation. In order to test the Tin Audio T2 Pro I paired them with the following equipment: Topping DX7, Topping D30 feeding a Venture Electronics TunAbout 2.0bl, Cayin N5ii and Aune M1s. Standard-res FLAC files made up the bulk of the source files. 100 hours of break-in were applied. The Tin Audio T2 Pro takes everything good about the T2 and then does it better – well, just in a couple areas, but that’s it. Sound signature is substantially similar to the T2’s, but it has a bit better bass presence and extension coupled with a slower roll-off in the treble area so that the sound appears a bit brighter. The general balance is unaltered, though, so we find the same bright tonality, great clarity and detail retrieval that the T2 has. In terms of technical ability, the Tin Audio T2 Pro are among the best headphones you can find below $100. Soundstage is very large both in width and depth, so that one feels like in a wide space where music instruments are playing from different places. Imaging is really precise, providing more than just positional cues and instead providing precise positioning of instruments. The best feature is, however, instrument separation: you can always tell each instrument apart and they all seem to be playing alone, with the sound of each one then juxtaposed to the others without much mixing. Clarity is in fact stellar. Bass is very close to being neutral, and it is just a little bit less than ideal generally (and more than a bit in the lower area). Sub-bass is not what the T2 Pro are best at rendering, yet it reaches 40 Hz with enough volume for it to be heard (and then plunges down into inaudibility). It is not enough to let you feel it, but it gives the sound enough body. What’s most important, though, is quality, as once again Tin Audio nailed it with their driver and got very controlled and fast bass out of it. Speed is probably its best quality, as the presence of transients this fast is what gives that “punch” sensation that makes bass enjoyable and entertaining. Clarity is, as I mentioned, really great, and this is aided in the midrange by the emphasis on the upper area. The midrange is in fact bright, with marked emphasis on the region bordering treble. Listening to Snarky Puppy’s Grown Folks from the Culcha Vulcha album I could not help but notice how well brass instruments are rendered, with great texture that makes them feel “alive”. I know it may sound exaggerated or meaningless, but the high level of detail and speed makes it so that the sound of trumpets and sax has that vibrancy that’s so peculiar of those instruments, and it feels especially well rendered. Everything else is rendered equally well anyway, from acoustic guitars to voices. There’s also no sibilance of sorts. Treble is extended, as it has good presence in every area with roll-off being slow and therefore not having a significant impact. This extension makes it rather airy and spacious, and also makes cymbals, crashes, snares, hi-hats and other similar instruments (whose names I do not know…) present and full of detail and life. The sound as a whole benefits significantly from this extension, as everything seems wider and more distributed across the soundstage – this is why the latter looks so wide and good. On top of having the right quantity, treble is also good quality as it displays lots upon lots of details up to the most minute. With this tuning, the Tin Audio T2 Pro performs exceptionally well with almost every genre; the only situations here other headphones could be preferable are those where louder and deeper bass are fundamental to the full experience (e.g. trip-hop, electronica, etc). Tin Audio T2: I actually built the whole review on this comparison, so you should have a pretty much clear idea by now. The main difference – if not the only difference – between the T2 and the T2 Pro is the extension in the treble area, which is better on the Pro variant. Bass is slightly more extended on the Pro, but it’s a small difference. Everything else is nearly identical, with the exception of soundstage being maybe slightly larger on the Pro (I write “maybe” because it’s, again, a small difference). BGVP DMG: the DMG are quite different in their presentation; not only do they offer deeper bass, but they are also a bit more “in your face” with their presentation, with everything appearing as if it was nearer and louder. Despite being both bright, the BGVP is not as bright as the Tin Audio T2 Pro and sounds a bit warmer in comparison. Treble is also less forward, but with a similar level of detail. In terms of technicalities, the T2 Pro has a much wider and deeper soundstage, also sporting slightly better imaging and overall better instrument separation. 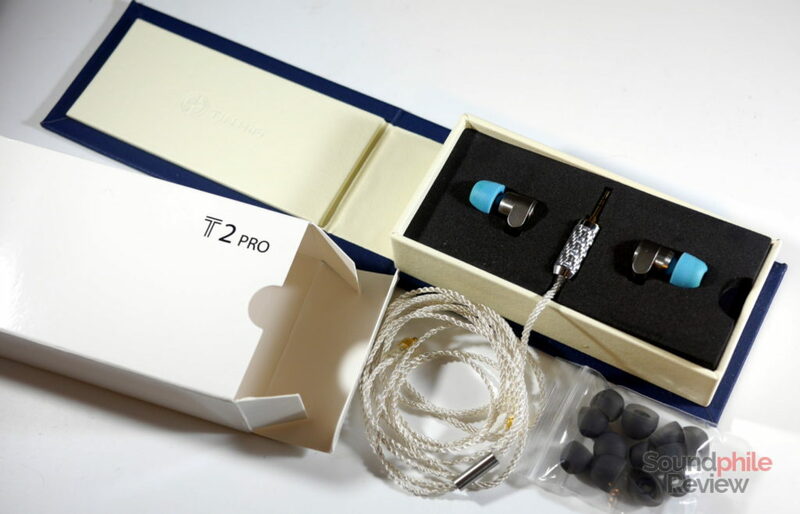 Although they get the “Pro” moniker, the Tin Audio T2 Pro are not that different from the previous model. In fact there is some minor adjustment to tuning, which is largely negligible for most people as it does not alter the overall signature too much. As the Tin Audio T2 was a very capable IEM already, the Tin Audio T2 Pro is (not surprisingly) a very capable IEM, too. Technically speaking, the T2 Pro is better as it has more extension at both ends, but in terms of which one sounds better then it’s up to one’s taste – just bear in mind that the Tin Audio T2 Pro is generally a tad brighter. To sum it up, it’s great, and at $60 or less it’s an outright steal. Are you using the stock ear tips for this review? Or did you swap them out? Hi! I used the stock foam tips. I currently think of two IEMs: the BGVP DMG and the BGVP DM6. The former is the most fun, the latter is the most accurate. Either represent an upgrade over the T2 (Pro), in my opinion. Which is better earphone in your though? Tin audio t2 pro Or kz as10? I personally prefer the T2 (non-Pro). The Pro variant is preferable only if you really like treble. Did you try sealing the front (next to nozzle) port to get more bass from these? I am reading that people are sealing with Blu-Tack and getting more bass punch. I was hoping for another opinion. I did not: the port is there to allow air to flow. Without this flow, you could exert too much pressure on your tympanum and damage it. So I won’t try that, sorry.